The 11th Circuit strikes down Florida’s Docs vs. Glocks law. Florida Republicans argue that the Second Amendment trumps the First Amendment. They’re wrong. The Constitution does not allow the state to muzzle doctors who wish to inquire about gun safety. In recent years, most states have been clever enough to dress up unconstitutional statutes in pretext that might just fool courts into affirming their legality. But apparently the Florida legislature did not get this memo, because in 2011, the state passed a law that did not really pretend to be anything other than what it was: a blatant act of censorship. The 11th U.S. Circuit Court of Appeals, sitting en banc, struck down the bulk of Florida’s Firearms Owners’ Privacy Act (FOPA) last Thursday in an emphatic and near-unanimous ruling. But the law, as well as the decision in Wollschlaeger v. Governor of Florida that has invalidated it, are worth examining at length because this fight is far from over. 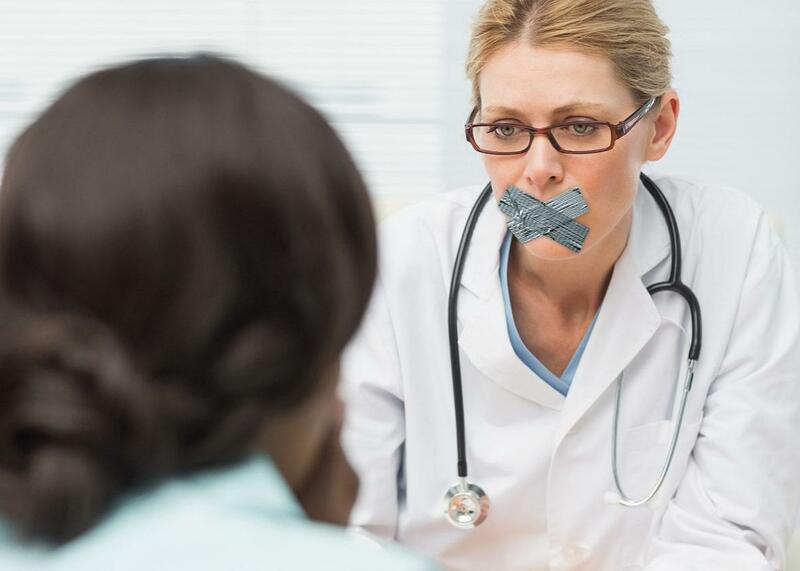 FOPA gagged doctors who wished to discuss gun safety with patients based on the contents and viewpoints of their speech. In defending it, pro-gun advocates have concocted a clash between the First and Second Amendments, hoping that the Second Amendment wins out. Just because they lost this battle does not mean they have given up on the broader war. Some background: The sponsors of FOPA, frequently referred to as the “docs vs. glocks” bill, claimed they were responding to anecdotal evidence of Florida doctors talking to patients’ parents about gun safety in the home, which they felt constituted an egregious invasion of privacy. (You may remember one sponsor, Greg Evers, as the state senator who raffled off an AR-15.) In reality, the bill was peddled by the National Rifle Association, which donates significant sums to Florida’s GOP state legislators and routinely requests favors in return. This particular gift was designed as a rebuke to the medical groups—including the American Medical Association, the American Academy of Pediatrics, and the American Academy of Family Physicians—that encourage physicians to talk to parents about childproofing firearms. These groups and their members believe firearm safety education is critical, especially in a country with so many gun accidents involving children. The NRA does not want physicians to talk to patients about firearm safety. It considers a mere question about gun ownership, as well as advice about childproofing guns, to be a privacy violation meant to advance a “political agenda,” according to the court’s majority opinion. FOPA prohibits doctors from asking patients or their parents about guns in the home; recording the answer to such questions; “harassing a patient about firearm ownership during an examination”; and discriminating against patients on the basis of gun ownership. In a lengthy ruling, the 11th Circuit struck down all these provisions—except the nondiscrimination rule—as a violation of the First Amendment. The issue of free speech protections for professional expression, particularly in the course of medical treatment, is notoriously thorny. Courts typically give the government more leeway to regulate speech issued in the course of professional conduct: For instance, states can, without infringing upon the First Amendment, ban harmful treatments that involve speech, like conversion “therapy.” But the court found that FOPA is a different beast: It takes direct aim at doctors’ speech on the basis of its content, one of the most insidious kinds of censorship. And even the extreme conservative Judge William Pryor felt moved to concur, expressing his belief that “the profound importance of the Second Amendment does not give the government license to violate the right to free speech under the First Amendment.” Only one judge, Gerald Bard Tjoflat, disagreed, devoting his dissenting opinion to a bizarre attack on the Supreme Court’s current free speech jurisprudence. These multiple writings all drive home the same critical point: FOPA marked an attempt to limit the protections of the First Amendment by expanding the scope of the Second Amendment. Florida’s radical defense of FOPA held that the Second Amendment is so powerful that, in order to safeguard it, the state should be allowed to diminish other constitutional rights. The 11th Circuit was right to reject this argument. Florida already does a great deal to protect the rights of gun owners in the name of the Second Amendment. But the Constitution does not allow the state to muzzle doctors who wish to inquire about gun safety. In recent years, a considerable amount of ink has been spilled criticizing the American left for allegedly censoring speech it finds offensive. But FOPA is one of the most censorial pieces of legislation to emerge from a state in this decade—and it is the work of Republican legislators, and a Republican governor, whose intentions were to shield gun owners, those delicate snowflakes, from experiencing a brief moment of mild discomfort. There are real threats to free speech in America today. But they are more likely to emerge from Republican statehouses than from liberal college campuses.